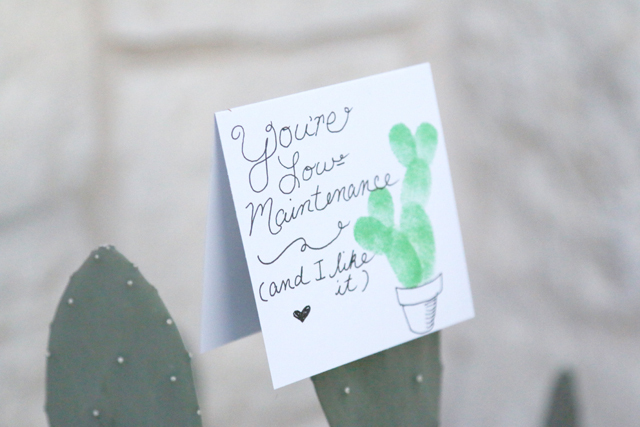 I’ve mentioned that bad puns are one of my favorite things about Valentines day (and in life.) 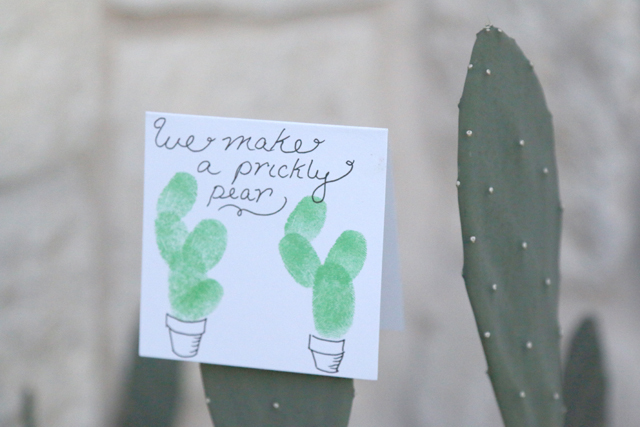 Since cacti are one of my other favorite things, here are some sweet little pokey cards that bring together a few of my favorite things. If you were to tie one of these around a bottle of champagne and put Jaime on a plane with it, that would pretty much put all of my favorite things together. 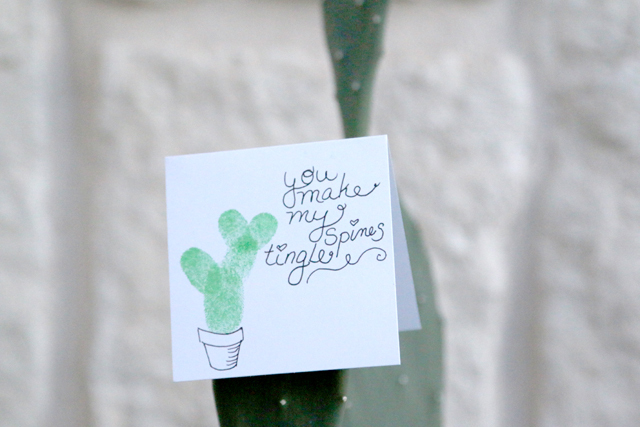 Anyway, here are some cute prickly valentines that you can make if you have paper, a fine point marker, a green stamp pad and a finger. 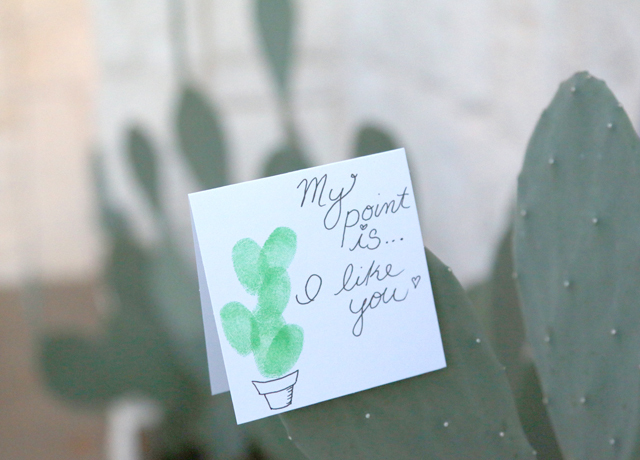 Basically you dip a large fingertip (I used pointer) in the inkpad and make the bottom pad of your cactus. 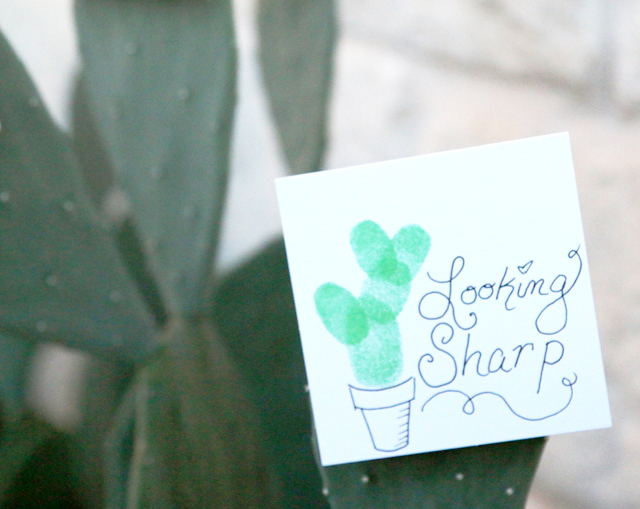 Then a small fingertip (the pinky perhaps) and make the rest of the cactus. Kid fingers would make this even more adorable. Next draw a little pot and some funny words. You don’t need to be a calligrapher to make this work, even just block letters will be perfect. 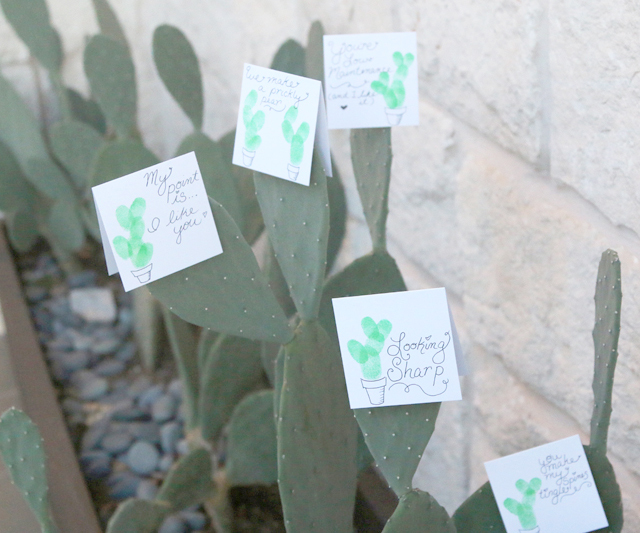 Leave all your pals a note or tie one around a small potted cactus for your bestess and mostess.